John F. Mansfield (1906-1965) was born at Ballinroad, Old Parish, Co. Waterford on 6th February 1906 to James and Bridget Mansfield (nee Power). John emigrated to America in 1924. Just before the Second World War he enlisted in the American army and served with the 4th Armoured Division - Third Army, from its founding in April 1942 until he ended up in Pilsen, Czechoslovakia in May 1945. This Division was the spearhead attack from Normandy right into Germany and was known as ‘Paton’s Pride & Joy’, having had the most days in combat of any unit of the Third Army. John was wounded twice and decorated on several occasions. He received an honourable discharge on 19th October 1945 and he settled in New York where he died on 1st July 1965. 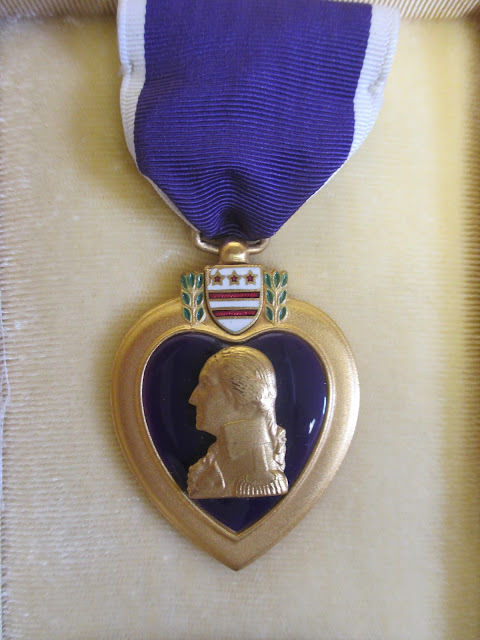 Purple Heart with cluster after being wounded at Normandy and Metz. Bronze Star for valour at the Battle of the Bulge. European-African Middle Eastern Campaign Ribbon.